However, though God is sovereign over all, we acknowledge that there are real risks in the world today. While we use common sense to avoid danger, we also know things sometimes happen outside of our control. While terrorism is a real threat, not only in Europe but even in America, you might be interested to see on this map that Italy did not experience any fatalities from terrorists in 2017. And while we don’t want to downplay terrorism, and the risks involved in travel in Europe, have you considered how many people die in traffic fatalities in the USA each year? In 2015, the last year with posted statistics, 1200 people died on Pennsylvania roads, and 1450 died on Georgia roads. And yet we keep driving, don’t we? That’s a lot more than died from terrorism! The bottom line is, there’s no safer place than the center of God’s will, but it is a life of faith. Rome with Purpose makes every effort to provide an environment of health and safety. The convent where we stay is gated and locked. We are registered with the U.S. embassy in case of terrorist threats. Each participant will be asked to give us contact information for someone in the U.S. to contact in case of emergency. We will explain our Emergency Evacuation Plan during orientation. Since Rome is in Western Europe, the medical facilities are very adequate for most medical situations. Each participant in our programs will have international travel/medical insurance, which will be purchased before students leave for Rome. This is purchased by your institution or by Rome with Purpose. If needed, there are hospitals, clinics and doctors readily available to us. 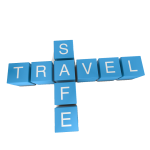 If you are on any prescription medication, be sure to bring along enough medication to last you through the duration of your stay in Europe. Note that it is not possible to mail any medications through the Italian mail system. If you have any questions about safety or health issues related to Rome with Purpose, please write to us.